Get your merchandise tagged and ready for the sales floor with our Strung Merchandise Tag #1. 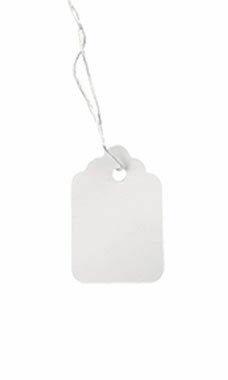 This tag features a unique scalloped edge and is offered in classic white with empty space to write in any information that you would like or to attach a sticker or barcode. The #1 tag measures 1-1/16"W x 1-5/8"H .